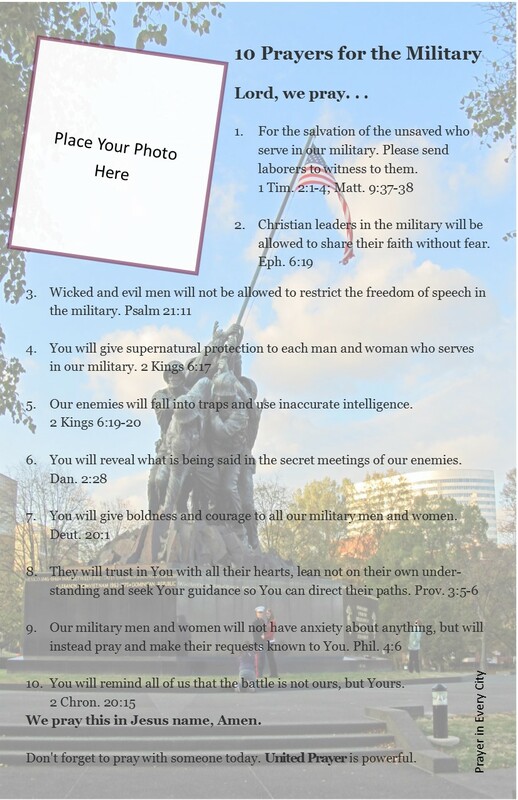 As we celebrate the birth of our nation, please pray these 10 Prayers for the Military. Don’t’ forget to add this to your Family Photo Prayer Journal. 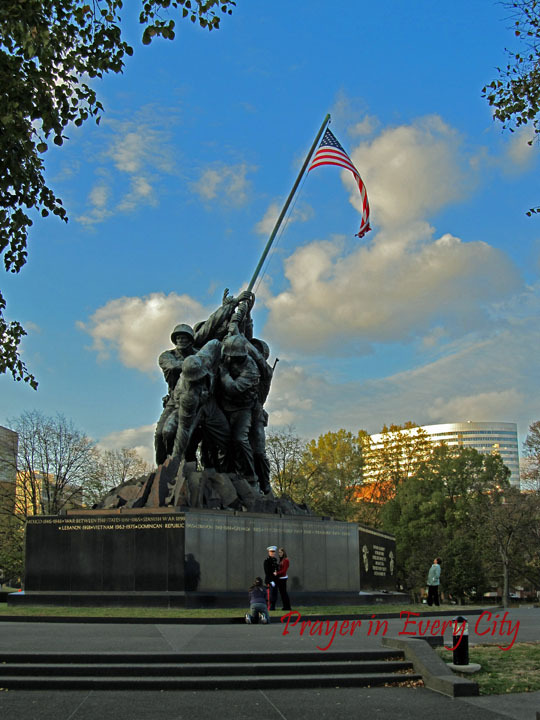 Even if you don’t know anyone in the military, the families of those who are serving would appreciate your prayers. Click on the link above to find out how to make a prayer journal. This project may seem too feminine for you if you are a male, but I got the idea from a male preacher. I was reading a book called Pray Like it Matters by Steve Gaines, Ph.D, who is the pastor at Bellevue Baptist Church in Memphis, TN. He recommended making a photo prayer journal, because he says that it helps him pray for people when he looks at their picture. I encourage you to do the same. We pray this in Jesus name, Amen. Don’t forget to pray with someone today. United Prayer is powerful.